This was a joint giveaway with Hobo Mama Reviews and Natural Parents Network, so entries were combined (over 500!) and one winner drawn. Leilani entered at Hobo Mama Reviews. She’s a good example to show you that even a single entry can make you the winner, so never be shy to do just the mandatory entry for a giveaway if that’s all you have time for. 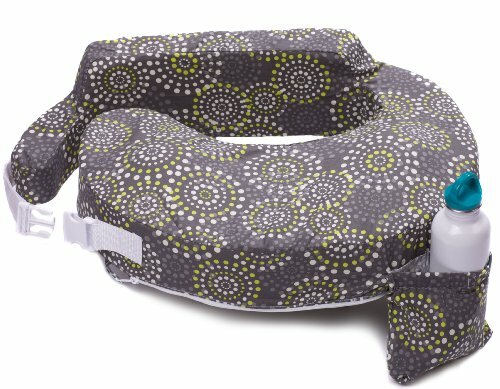 If you were not the lucky Leilani, you can buy the My Brest Friend products featured in the review, as well as others, online at Amazon, Babies R Us, Nursing Mother Supplies, Destination Maternity, Target, Walmart, Bed Bath & Beyond, Diapers.com, and others, as well as local retail stores. The My Brest Friend Store Locator will help you look by address in the United States and internationally. Disclosure: Our reviewer received a free kit from My Brest Friend for review.